SUMMARY: This year's MarketingSherpa Lead Gen Summit 2013 involved a name change from the previous years' B2B Summit. The new name reflects the fact that the challenges facing B2B and B2C marketers engaged in a complex sale are increasingly similar, and that the tactics and strategies executed by those marketers are also similar. Summit included two days filled with brand-side case studies, industry perspectives and live optimization of attendees' lead capture forms and pages, with the event bookended by two MECLABS workshops. This wrap-up examines key takeaways, and offers the chance to view presentation slides and more reporting from the event. MarketingSherpa Lead Gen Summit 2013 was held in San Francisco on October 1 and 2, with the Lead Management Workshop the day before Summit, and Value Proposition Workshop the day after the main event concluded. The overall theme was lead generation, hence the name of the event, but sessions were separated over three areas of lead gen: capture, qualify and nurture. Day one of Summit was filled with lead capture sessions with transferable case studies and industry expert deep dives. Focus on lead quality over lead quantity. Engage and appeal to your target audience to obtain that first hand raise and capture the lead. Jon Ciampi, VP, Marketing, Business Development and Corporate Development, CRC Health, a provider of behavioral health services in the U.S., said his team made the decision to focus on lead capture quality over quantity. One way the team accomplished this goal was focusing on long-tail keywords. In CRC Health's case, going from "rehab" to "rehab+alcohol," "rehab+drugs" or "rehab+treatment center" improved cost per acquisition. Another element that helped was optimized communication on landing pages — not only helping potential patients and their families know who would be a good fit for CRC's clinics, but also, who would not be a good fit. Jacob Baldwin, Search Engine Marketing Manager, One Call Now, a voice, text and email notification company, explained how a relatively simple testing protocol — sequential testing as opposed to A/B split testing — on the company's homepage led to improved lead capture conversion. While sequential testing does introduce the possibility of validity threats, it helped Baldwin's team challenge the status quo. Two of Baldwin's key takeaways from this testing program were, "With every new learning also comes a higher level of understanding," and, "Complacency is lead capture optimization’s worst enemy and perfection is impossible." Break through the noise by becoming a trusted source of information, instead of being an advertiser. Apply visual appeal, interesting design, personalization and sharability to delight your audience. Engage your audience through crowdsourcing, finding an emotional connection and building mass participation. 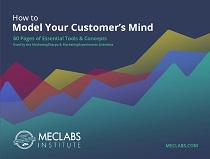 Map your demand generation program to your customer's pain points. As MarketingSherpa Lead Gen Summit 2013 co-emcee and director of editorial content at MECLABS (parent company of MarketingSherpa), Daniel Burstein told the audience that lead capture is probably the focus of most marketers in overall lead gen efforts, but lead qualification and lead nurturing are also important aspects of lead gen that should not be ignored. "My daughters always want me to buy them toys, and then one day I had an epiphany. They don't actually want toys, they want new toys. Once the toy is out of the packaging and in our house, they don't care about it," he said. Burstein continued, "In much the same way, lead gen marketers can be overly focused on net new leads, when the overall goal should be getting quality leads to Sales, and ultimately, profitable customers. Once you look at lead generation through that spectrum, you see how essential it is to focus on your current database and leads you already have." "This is why lead qualification and lead nurturing are so vital to a successful lead gen program, and why we included them as key pillars of Lead Gen Summit 2013. For example, through MarketingSherpa research, we've found that marketing departments with a lead nurturing campaign in place reported a 45% higher ROI than those that did not utilize a lead nurturing track." Content marketing is a major area of marketing emphasis, particularly around lead gen efforts. Social media is an effective lead nurturing tool. Organic search traffic can be improved by applying a keyword strategy to content marketing. One lead qualification case study covered a webinar program presented by Shelby Britton, Senior Product Marketing Manager, Adobe Systems, and a key aspect of the case study was a change in the content approach: A shift from what Britton called a "one-off strategy" to the webinar content that focused on Adobe products and featured general content, to a strategy that used content aimed at two specific verticals and aimed at helping people in those verticals understand best practices. The strategy then had an overall funnel that followed up with product-specific content once they identified themselves as interested in the general best practice content. With the new approach, Adobe was able to provide value to its prospects and customers as opposed to simply selling to them. The result of the new strategy was an increase of 75% in open rate and 120% in clickthrough for emails promoting Adobe’s webinars, and on top of those metrics, conversion improved as much as 500%. For an Industry Perspective session, Francois Gossieaux, Co-President, Human 1.0, a boutique marketing innovation strategy firm, offered an interesting view of social media. At one time, all business was "social" in the sense that positive or negative word-of-mouth was the major influence on how a business was perceived. As businesses became larger and began scaling, that social aspect became lost, according to Gossieaux. Through marketing and advertising bad habits such as interrupting and segmenting people, and treating employees like cogs in a wheel, these behaviors became ingrained. He said the Internet and social media have shifted that equation because people are hardwired to be social. The takeaway is businesses are becoming social again, by choice or not. The audience is no longer listening to business, exemplified by a data point that 80% of buying decisions are being made without your companies involvement, according to Gossieaux. To address social media and lead nurturing, Todd Wilms, Head of Social Strategy, and Adriel Sanchez, VP Demand Generation Northern and Southern Latin America, both of SAP, presented how SAP utilized social media for ongoing lead nurturing. An important aspect of this overall marketing strategy was recognizing buying habits are changing — people are entering the funnel at different stages and now, lead nurturing is happening outside of traditional systems. Listening for what people aren't telling you directly by following accounts directly and also filtering keywords for lead-relevant activity. Seeding the social conversation with what you want to talk about with a "programmatic approach," rewarding top contributors and using an enterprise-wide advocacy management tool. Engaging judiciously and in the right context to utilize social media, leveraging call centers and bringing customers and prospects together in social channels. Marie Wiese, President and Founder, Marketing CoPilot, a Web presence consulting and execution firm, provided attendees with seven steps for a keyword strategy for increasing organic search results and turning the website into a lead generation and nurturing tool. Identify the business problem that needs to be solved. Confirm the buyer through their priorities, obstacles and proof points. Analyze the keyword data. Where are people coming from? What keywords are driving them? What content are they looking at? What are the month-to-month changes? Brainstorm an initial list of keywords. Test that list with prospects and ask how did they find you? Where were they searching online? What problem did they search about? Wiese added, "Your best keywords are ones you haven't thought of yet." Choose the best keywords using these criteria: competition, volume, convertibility and engagement. Finally, implement the list of new keywords in your content across the website. The day two keynote was provided by Joe Pulizzi of the Content Marketing Institute and author of Epic Content Marketing: How to Tell a Different Story, Break through the Clutter, and Win More Customers by Marketing Less. His keynote address emphasized the importance, and ubiquity, of content marketing and highlighted what he described as six forgotten content marketing strategies. Define your audience by using personas — what do they do, where is the gap in their needs and wants, and when do they need to close that gap? Define the outcome by creating a content marketing mission statement. Choose the right content in terms of stages of the buying cycle and types of content that best match those stages. Don't overcomplicate the strategy, and look at the larger picture of how content marketing affects customer acquisition and engagement. Find the bigger story around your company that will engage customers. Don't forget about print because so many marketers are solely focused on digital, print is a way to stand out from the crowd.